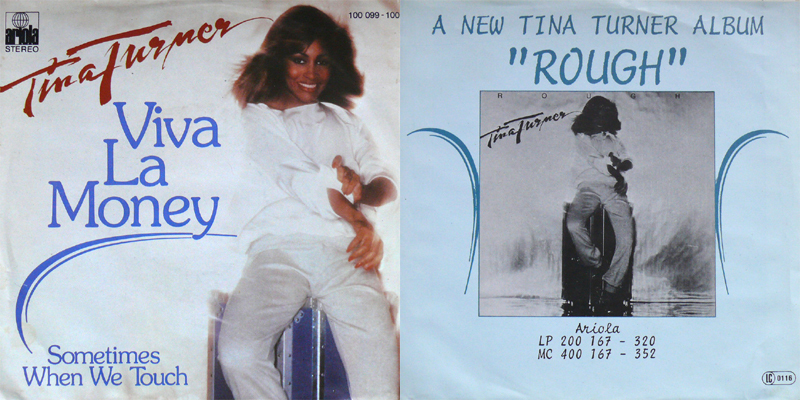 "Viva La Money" is a single from Tina Turner's album "Rough". Is is a cover version. It was first released by Allen Toussaint on his album "Motion". It is a funky, bit cynical song about the influence of money in your life, that can be good as well as bad. 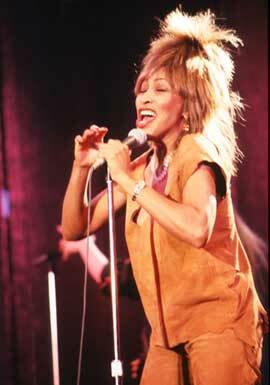 Tina Turner performed it a couple of times on several shows, for instance on Musikladen in 1979. The B-side is "Sometimes When We Touch". It is a 1977 ballad written by Dan Hill (lyrics) and Barry Mann (music) for the album "Longer Fuse". It is a soft rock song, moving. It is about a woman who talks about her man, whom she both loves and hates. 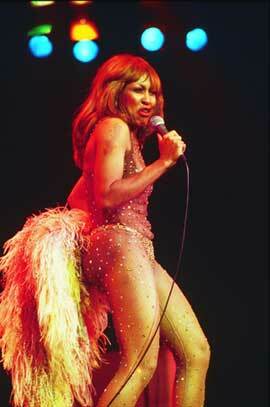 Tina Turner performed the song several times, for instance in the concert with Tom Jones at the Warner Theatre in 1979 and it is also on the "Live on the Road" DVD.